When I was a little girl, camping was part of our lives. Every summer we’d load up the family and head to the Upper Peninsula of Michigan for two weeks. My dad always searched for the most remote campgrounds, where we could live without electricity, running water or showers. While we didn’t have a way to shower or lights to turn on, we at least were able to camp in the luxury of an RV. Now that I have three kids of my own, RVing is becoming a part of their lives too, and my kids enjoy it just as much as I do. If you’re thinking of RVing with kids, here are a few tips and tricks to help you on your trip. 1. Pack your outfits in gallon-size ziploc bags. That way your kids won’t tear apart the closet in your RV every time they get dressed – and it’s a whole lot easier to find your pajamas in the dark when the kids are already sleeping. 2. My kids are pretty good at entertaining themselves while we’re RVing, but I always have a back up stash of board games, coloring books, playdoh and bubbles just in case it rains. 3. Speaking from personal experience: don’t forget your jackets. Or an extra blanket or two. It can get surprisingly chilly at night in the woods – even in the summer. 4. If you’re the creative type, whip up a quick scavenger hunt for the kids to do. List out 10, 20 or 50 things that they have to find on your RVing adventure. 5. A doormat and a mini broom can go a long way towards keeping your RV clean. Trust me. 6. 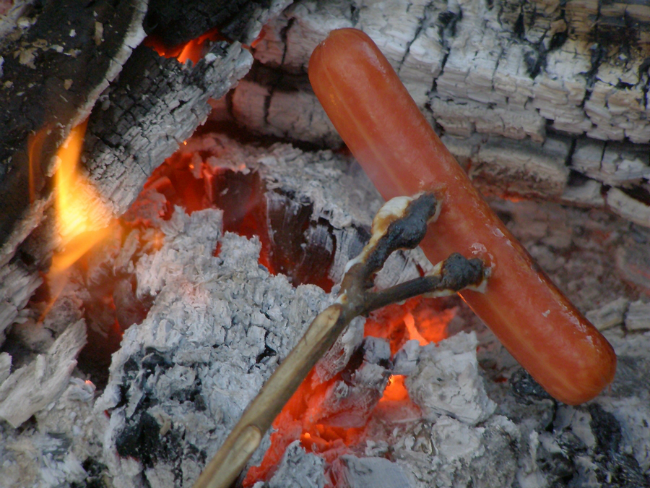 Never underestimate the power of a hot dog on a stick roasted over the campfire. 7. A baby fence for toddlers works like a charm at your campsite – especially while you’re doing things like cooking dinner over the fire and getting beds ready for the night – or just sitting down for one second. 8. Remember this: stock up on glow sticks, bracelets and necklaces before you go. Your kids will love them – and you’ll be able to spot them easily after dark. 9. 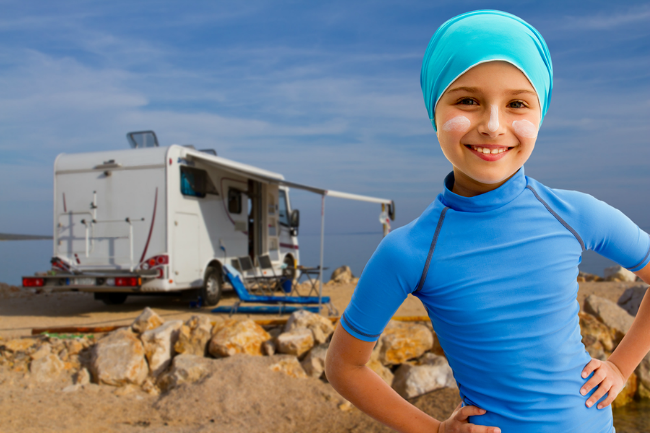 Beach balls are fun for the kids to play with – and they won’t damage your RV. 10. If you have electricity, bring your baby monitor. You can relax after the kids are in bed – and not worry about them wandering out of the RV. You can also follow them on Facebook here. 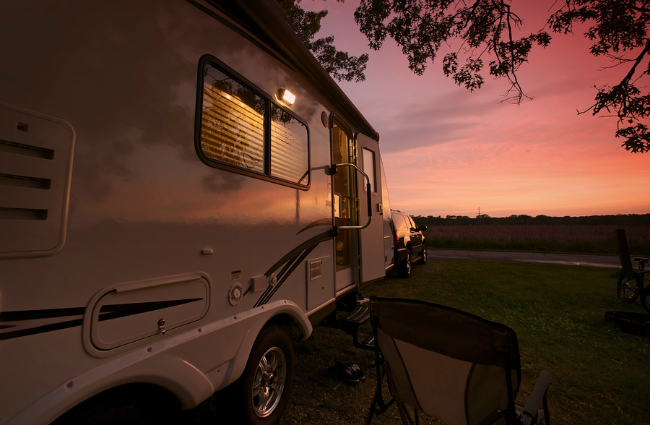 Tell us what you love most about RVing or if you’ve ever wanted to try it! This is a sponsored conversation written by me on behalf of Go RVing via Burst Media. The opinions and text are all mine. Do you have your own RV? or do you rent one? If you rent, where from?